This picture was taken during an awesome Subaru meet and cruise through the Cascade Loop in Washington state last year. 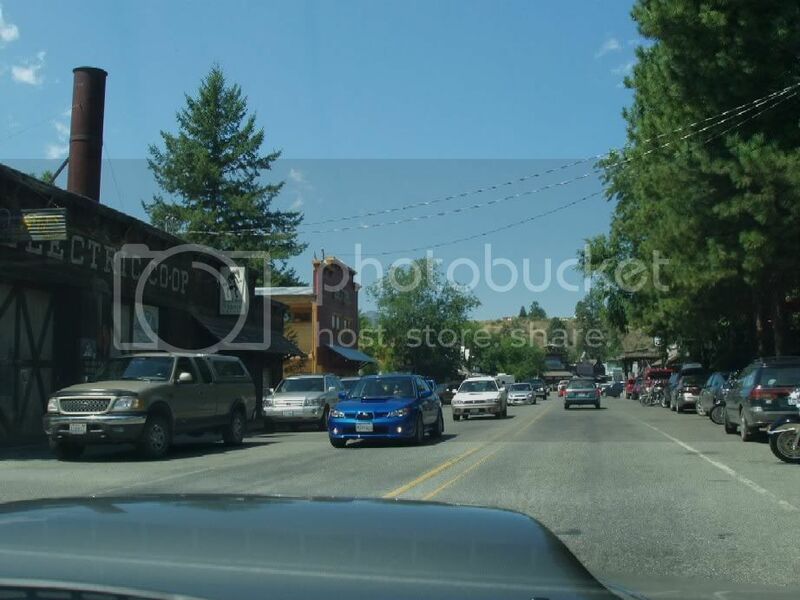 The town of Winthrop is an interesting "Western town" and the perfect place for lunch. Since there were so many Subarus, parking was a bit tricky to find and so many of us drove down the main stretch and back to get the lay of the land. This year, the Cascade Loop Run is planned for July 14, 2007. More pictures I took from last year are available here.